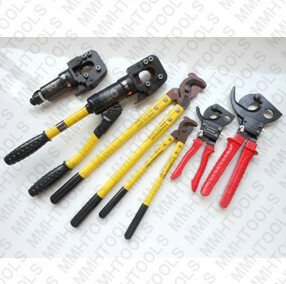 YQK-300A, YQK-300 hydraulic crimping tool, many customers call hydraulic crimping pliers, hydraulic pliers, however, they are the same tool in function. 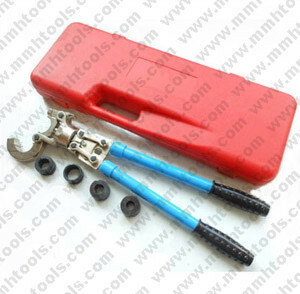 YQK series is Jeteco tools's traditional hydraulic crimping tool, such as YQK-70A, YQK-120A, YQK-240A, YQK-300A. 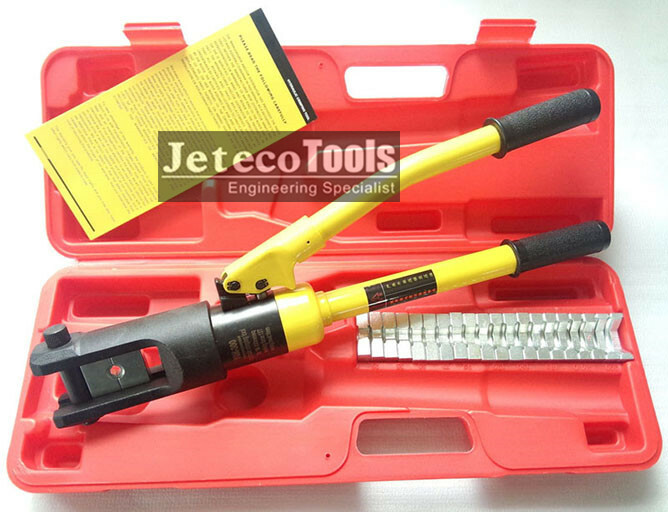 1, Jeteco Tools is the most professional manufacturer in China mailand, the biggest OEM servicer in China. 2, One spare O-rings set is support for every item. 3, Factory directly after sell service. YQK-70A 6, 8, 10, 16, 25, 35, 50, 70mmsq, Spare O-rings set, Instruction Manual. 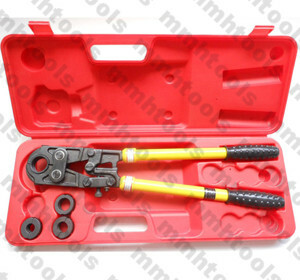 YQK-120 10, 16, 25, 35, 50, 70, 95, 120mmsq, Spare O-rings set, Instruction Manual, plastic case. YQK-240 16, 25, 35, 50, 70, 95, 120, 150, 185, 240mmsq, Spare O-rings, Instruction Manual. YQK-300 16, 25, 35, 50, 70, 95, 120, 150, 185, 240, 300mmsq, Spare O-rings, Instruction Manual. 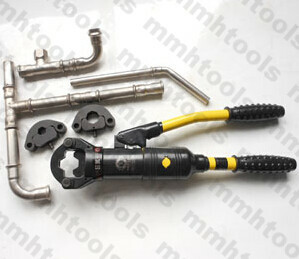 YQ-300B/D/H 16--300mmsq, Closed tool head, Quick speed, Safety equipment, Spare O rings. 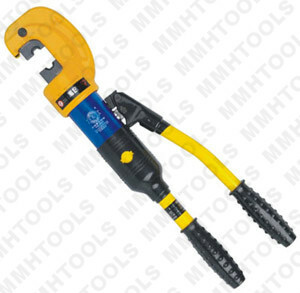 YQ-300C 16--300mmsq, C-Shape tool head, Quick speed, Safety equipment, Spare O rings. 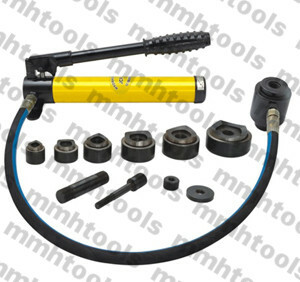 YQ-400B 50--400mmsq, Closed tool head, Quick speed, Safety equipment, Spare O rings. 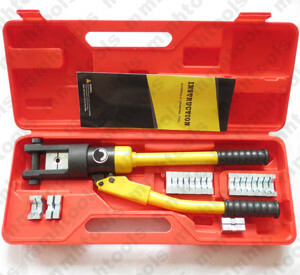 EP-400A 50--400mmsq, Closed tool head, Quick speed, Safety equipment, Spare O rings. 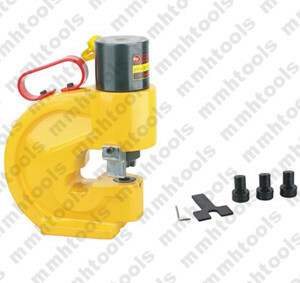 EP-410/430/510 50--400mmsq, C-Shape tool head, Quick speed, Safety equipment, Spare O rings. YQ-70C 6, 8, 10, 16, 25, 35, 50, 70mmsq, Spare O-rings set, Instruction Manual. YQ-120C 10, 16, 25, 35, 50, 70, 95, 120mmsq, Spare O-rings set, Instruction Manual, plastic case. 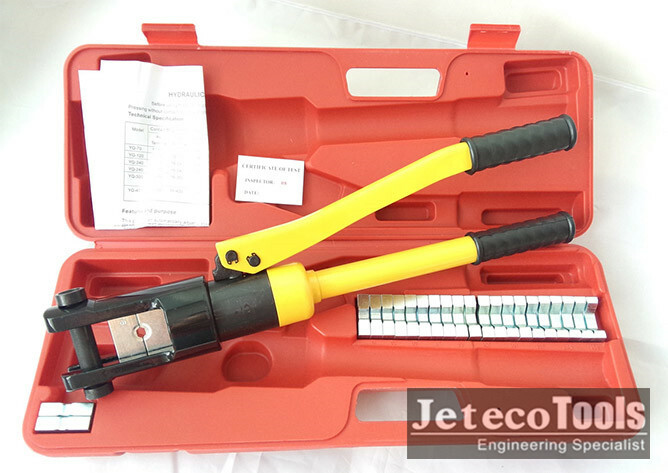 YQ-300C 16--300mmsq, Quick speed, Safety equipment, Spare O rings, Plastic case. 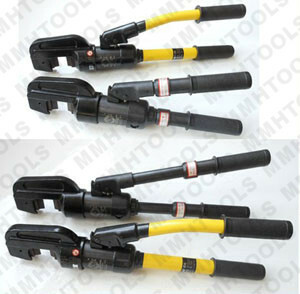 EP-410/430/510 50--400mmsq, Quick speed, Safety equipment, Spare O rings, Plastic case. 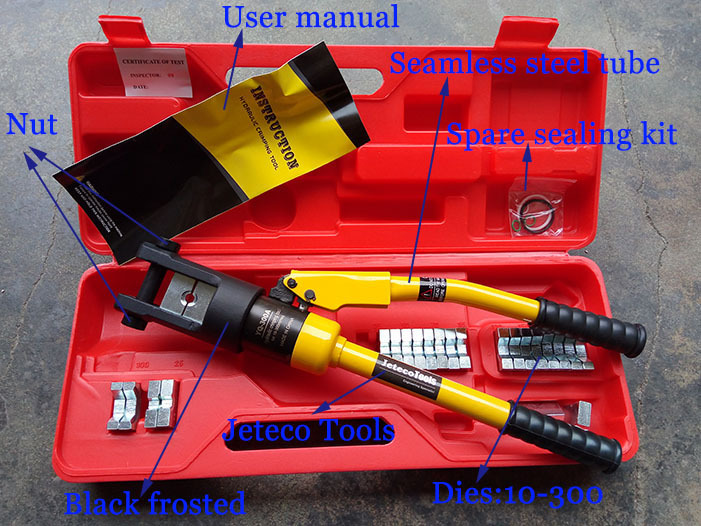 More information about our hydraulic crimper tool kit, please refer to our latest products catalog, if you have questions, please feel free to contact Jeteco tools by call or by email, thanks.